This past week I had the pleasure of being invited to Singapore to present my research on smart, innovative cities. Tropical greenspaces throughout the city are juxtaposed with remnants of its past through an authentic China Town, Little India and others–all of which mixes with a modern, robust, waterside financial district, as well as upscale, North-American-style malls and entertainment districts. That’s a lot for a small island with about 5 million inhabitants. 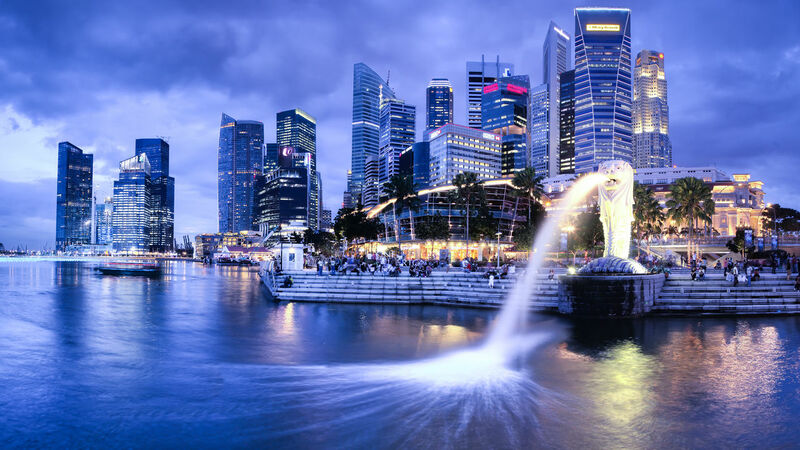 Singapore was not on our list of the top 10 smart cities in the world. It is however, exhibiting some of the five ways that smart cities will change how we live, much like Barcelonaand Buenos Aires. For those of us interested in smart city evolution, Singapore is a fascinating place to explore. I was lucky enough to have Andreas Birnik, the former director of smart cities for Ericsson and current adjunct professor of sustainability at the National University of Singapore, as a guide. Nearly 90% of the Singaporean population owns their own home or apartment. The underlying principal here is that social housing will only succeed when the tenants have an incentive, and an equity in their buildings and homes. This may be one of the reasons, along with very punitive criminal laws, that Singapore has such an incredibly low crime rate. While Singapore has one of the highest home ownership rates in the world, the politicians are doing their best to keep vehicle ownership rates (and subsequently traffic and new road infrastructure) as low as possible. Singapore has an auction system just to obtain the rights to purchase a car. Depending on the type of vehicle, auctions this past year have run between $50,000 and $75,000. On top of that, the government imposes massive taxes (100% or more) on the purchase of vehicles. On top of all this, Singapore has implemented electronic road pricing (ERP)–a set of automated tolls throughout the city which vary depending on the hour in an attempt to incentivize off-peak travel over peak time. 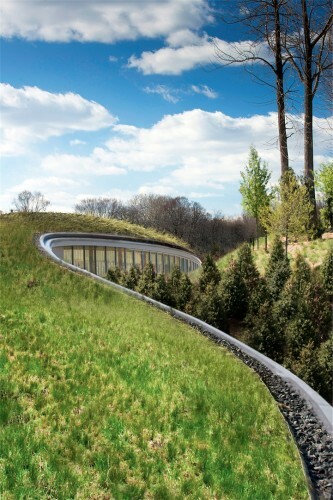 Seattle landscape architecture firm Gustafson Guthrie Nichol (GGN), together with Crosby Schlessinger Smallridge (CSS) of Boston, are the recipients of the biennial Tucker Design Award for 2012. GGN and CSS have been recognized for North End Parks, the three-acre park that was part of the “Big Dig” development in Boston, MA. 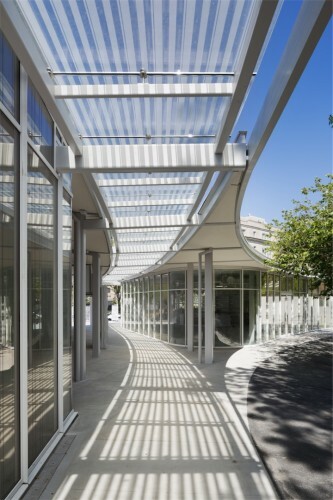 First presented in 1977, the Tucker Design Award is a nationally recognized architectural design award in both the building and landscape industries. 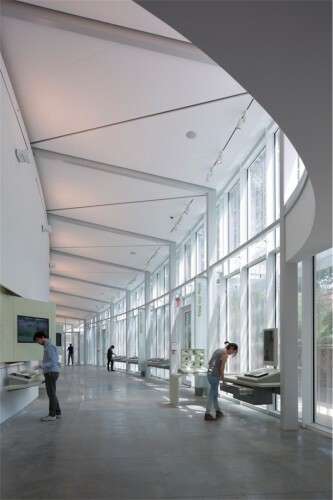 The award program honors those whose work demonstrates excellence in concept, design, construction and use of natural stone. “It is an honor for GGN and CSS to receive this award for work that was a joy for us to do. We fell in love with the North End neighborhood while designing the Parks, and I like to think that this emotion came through in the careful detailing of the stone” said Shannon Nichol, Director of GGN. “Our interest in the beautiful layers of hand-crafted materials in the nearby streets influenced the stone details in the Parks. The colorful, passionate personalities in the neighborhood also inspired our selection of dramatic, marble-like granite and the overall design for social interactions at every scale”. North End Parks are built on the land of the I-93 tunnel roof, at the prime entry to one of Boston’s densest and most historic neighborhoods. 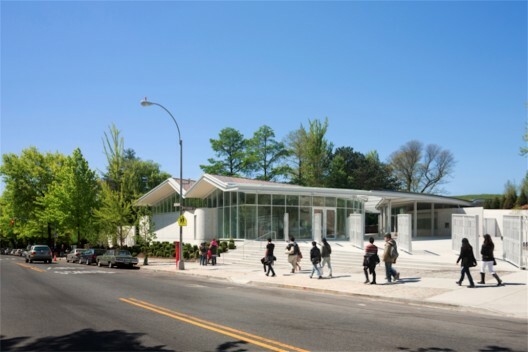 The Parks are designed as a system of varied spaces that serve the finely scaled residential neighborhood, while forming together as one, a unified threshold piece at a grander civic scale. This year’s juror’s for the Tucker Design Awards were Ripley Rasmus, Senior Vice President and Director of HOK St. Louis; Rae Price, FASLA, Peridian International, Newport Beach, CA; and Peter MacKeith, Associate Dean, Sam Fox School of Design and Visual Arts at Washington University St. Louis. 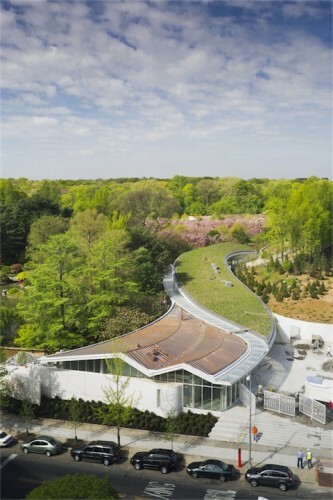 The 2012 awards are being presented today, May 11, in the Shoenberg Auditorium of the Missouri Botanical Garden in St. Louis, MO. 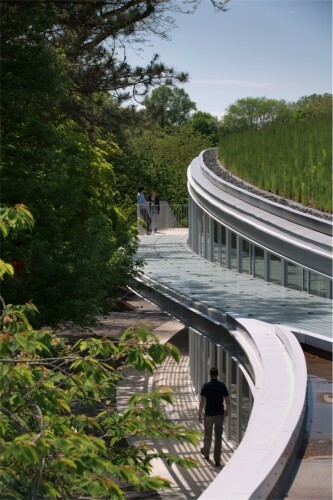 Other distinguished projects receiving Tucker Design Awards in 2012 include: Nelson Byrd Woltz, Citygarden, St. Louis, MO; Tod Williams Billie Tsien Architects, The Center for the Advancement of Public Action, Bennington College, Bennington VT; HOLT Architects, P.C. Southworth Library, Lincoln Center Addition, Dryden, NY; Hartman-Cox Architects, LLP, Duke Divinity School Addition, Duke University, Durham, NC and others. This is the classic Catch-22 – cities are made and designed by people who studied the past (existing cities) to arrive at their planning methods etc. for people who are living now and in the future when the means of livelihood and lifestyle will have changed in ways which are unlikely if not impossible to foresee! 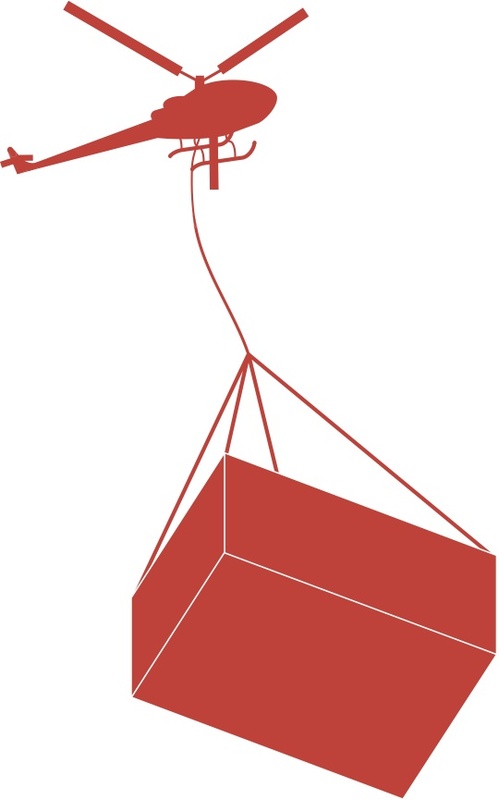 The issue of viewing space at varied scales – global to local, is very powerful for understanding how space is constructed in relation to the body. I’ve just returned to Henri Lefebvre’s The Production of Space, but this time I tried to look at its depiction of the body in social space. 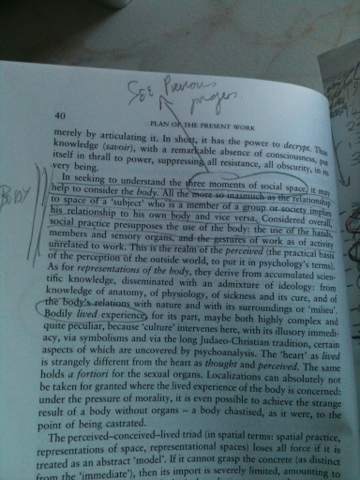 Focusing on this one aspect I was surprised to find just how central the body is in Lefebvre’s analysis. 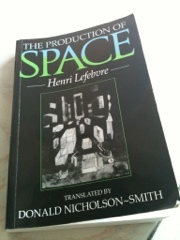 In fact quite early on Lefebvre is very clear that the body is central to his conception of the production of space.